The Jaguar F-Type SVR can't beat it, and it's even accomplished its goal of toppling the Porsche 911. Car lovers come in all sorts of shapes, sizes, and personality types, which is why automakers like to loan press cars out to a variety of outlets, whether they mainly cover cars or not, so that a broader audience can be reached. If you're reading this now, chances are you enjoy the Chris Harris type reviews that involve a lot of tire smoke, insider references, and quick driving in fast cars. However, that leaves an entirely different breed of enthusiast out of the picture. In this case, Bloomberg, better known for helping its readers digest the latest financial news, gets behind the wheel of a Mercedes-AMG GT S, Jaguar F-Type SVR, and Porsche 911 Carrera Cabriolet to cater to the type of person who won't be seeing any track days. Hanna Elliot (props on there being female automotive journalists somewhere on Earth) gives us her report. The verdict? Well, just what you’d expect. 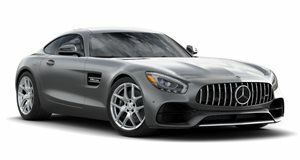 The Mercedes comes out on top for being the most well-rounded of the group. 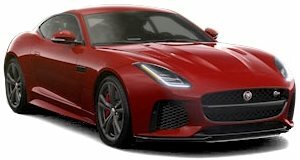 Though the emphasis is on luxury, it appears that Jaguar sent over the stripped out and souped-up F-Type SVR. Being based on a British grand tourer, it's luxurious, but it's also more at home on a track than on the back alleys of Los Angeles. 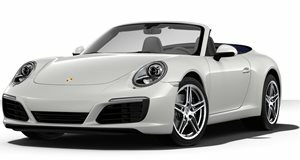 On the other hand, Porsche knows quite a bit about making prime performance cars that stave off mid-life crisis, but the focused 911 can sometimes lack in the luxury department. Mercedes takes the cake here for offering the best of both worlds and a side serving of stunning looks.